18+. New customers only. Minimum deposit is £20. This is a redeemable casino bonus with a 40x wagering requirement. The maximum bonus amount is £100. You get 20 spins after your first deposit, and another 20 spins per day, for 8 consecutive days. You have to accept the free spins on each of the 8 days, or they will expire after 24 hours after being credited. Bonus Betting limits: Slots - £5 All other games – 10% of the bonus amount. Free Spins bonus funds must be wagered at least 20x. Neteller and Skrill are excluded from the promotion. Full T&C’s apply – Gamble Responsibly – begambleaware.org. This is a redeemable casino bonus with a 40x wagering requirement. You get 20 spins after your first deposit, and another 20 spins per day, for 8 consecutive days. You have to accept the free spins on each of the 8 days, or they will expire after 24 hours after being credited. Bonus Betting limits: Slots – £5 All other games – 10% of the bonus amount. Free Spins bonus funds must be wagered at least 20x. Neteller and Skrill are excluded from the promotion. 18+. Minimum deposit to activate the Table and Cards bonus is £20. Enter the Casino com promo code LIVE when depositing. Winnings from Golden Chips must be wagered 10x on Premium Blackjack and Roulette Live. Wager the first 20% (£10) of the bonus amount 100x to receive the first 20% (£10) of bonus funds, and so on, until 100% of the bonus amount has been claimed. Each 20% section of the total bonus value must be wagered 100x. Neteller and Skrill deposits are excluded from the promotion. Full T&C’s apply – Gamble Responsibly – begambleaware.org. Minimum deposit to activate the Table and Cards bonus is £20. Enter the Casino com promo code LIVE when depositing. Winnings from Golden Chips must be wagered 10x on Premium Blackjack and Roulette Live. Wager the first 20% (£10) of the bonus amount 100x to receive the first 20% (£10) of bonus funds, and so on, until 100% of the bonus amount has been claimed. Neteller and Skrill deposits are excluded from the promotion. With such a highly desirable domain name, Casino.com is the first pick for many online casino players. The casino has been in the business for over a decade and operates under the wing of the renowned Mansion Group. In this Casino.com promo code review, we’ll go over all aspects of Casino.com and review what actually makes this site good. We’ll also talk about all of the current bonus codes, games, software, and address any potential issues that can be improved upon. The Casino.com welcome bonus is a hybrid offer that includes free spins and a matched deposit bonus. The first part of the offer consists of a massive 180 free spins bonus that can be used on the Age of the Gods slot series. The second part includes a 100% matched deposit bonus up to £100. This is a very lucrative, and most importantly, fair bonus you can use if you plan on joining Casino.com. It comes without a Casino.com promo code and has a relatively standard set of Terms and Conditions. 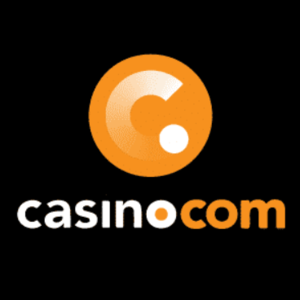 As a part of their generous welcome offer, Casino.com also has a no deposit offer for players who decide to sign up. If you join Casino.com, you can look forward to 20 free spins as a no deposit bonus. These spins don’t require a Casino com promo code, deposits or special steps. Simply sign up, claim the free spins, and you’ll have 24 hours to play through them before they expire. If you’re looking to sign up with an online casino but aren’t really a player that prefers playing slot games, the Casino.com welcome offer for table and cards players is the perfect offer for you. It gives you the chance to cash in on up to £100 and 25 Golden Chips, at a rate of 5 Chips per day. It’s a fair and straightforward bonus that is very easy to claim. In order to claim this welcome offer, you need to register and deposit at least £20 using the promo code LIVE. Note that this Casino.com promo code is available only if you’ve never made a deposit and haven’t opted in for the regular welcome bonus. Are There any Casino.com Promo Codes for Existing Players? If you’ve already placed your first deposit and are looking to get a bit more casino action for your money, this is for you. You can deposit a little more money and get additional free spins for one of their popular slot machines. The Wild Mondays Bonus gives you the option of choosing between two free spin bonuses. You can opt-in and deposit £20 using the Casino.com promo code MAJI to get 20 free spins on Maji Wilds. If you’re feeling a bit more adventurous, you can also deposit £50 or more using the promo code LEGACY to unlock a free spins bonus for the Legacy of the Wild slot game. No matter which option you decide to go for, you have to meet a 20x wagering requirement before you can withdraw your winnings. Every Friday the casino has a different slot game on offer, with a different Casino com promo code you can use. The only criteria you have to meet in order to be eligible for the promotion is that you’ve deposited money into the casino in the last 7 days. The offers and promo codes that come as a part of the Funky Friday Bonus are non-redeemable and have a 40x wagering requirement tied to them. Not a fan of online slot games? Well, this next bonus is the right one for you. The Golden Hour bonus awards you with 5 Golden Chips for every £50 wagered in the casino. Its active every Saturday and Sunday and doesn’t require a Casino.com promo code in order for you to claim it. There are no wagering requirements, though the chips do have a 7 day expiration date. Casino.com’s Side Bet Insurance Bonus is the perfect deal for all players who like playing Live Blackjack tables, and are looking to further intensify the thrill of gambling in a live casino. The Side Bet Insurance awards you with a 20% cashback on all Live Blackjack side bets, up to £100. In order to be eligible for this cashback offer, you need to wager at least £200 on Live Blackjack during the applicable promotion period, which is every weekend from 00:01 Friday to 23:59 (GMT) on Sunday. All of the cash you receive is instantly redeemable and comes free from any wagering requirements. If you prefer playing jackpot slot games and opt in to have a spin on either God of Storms, Medusa, and Monsters, Fate Sisters or Ruler of the Sky, you’ll be eligible for 20% cashback every Wednesday, up to £20. You must opt in on a weekly basis to take part in this promotion, and only house takings on real money funds, on the games stated above, will count towards cashback credit. This bonus is active every day from 7 pm to 9 pm. For every £10 you deposit during these hours, you’ll receive 10 free spins, up to a maximum of 100 spins per day. All you have to do is to simply make a deposit of at least £10 and enter the Casino.com promo code HAPPY while doing so. You can enjoy free spins every day on a different game each month, so make sure you check their website to see what game is currently on offer because it might just be your favourite one! As its name suggests, Casino.com operates exclusively as an online casino, and there aren’t any betting options for sports bettors. However, they have one sports betting-themed bonus available for their casino members. It’s called the Premier League Spins Bonus and it’s a pretty straightforward one. You can pick a Premier League team and each time they score a goal, you’ll get 20 free spins per goal. The free spins are available only for the Gaelic Luck slot game, with each spin being valued at £0.20. Casino.com was established in 2007 and is a part of the Mansion Group, based in Gibraltar. The casino holds licenses from the Gibraltar Licensing Authority and the UK Gambling Commission, making them a very safe and trustworthy casino to play at. 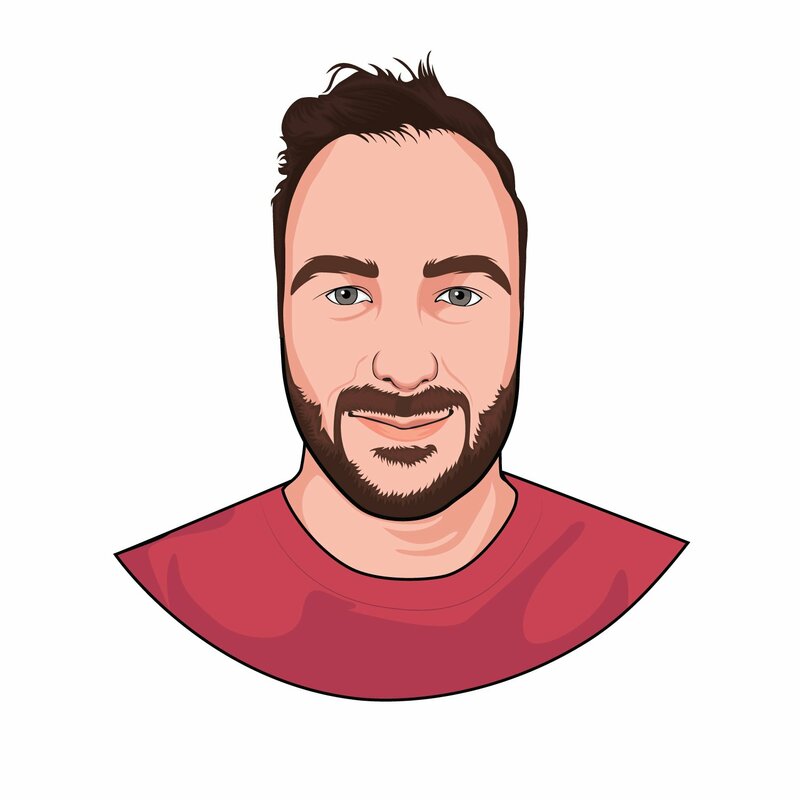 As a veteran on the online gambling scene, Casino.com fully supports the idea of Responsible Gaming and has an entire page dedicated to it, where you can find all of the rules and advice on how to keep your experience safe and enjoyable. Like many of the other Mansion Group-owned online casinos, Casino.com also runs on the Playtech platform, one of the leaders in online gambling software. Though this single provider-oriented casino does have a smaller selection of games compared to some other casinos out there, there is a solid choice of almost all games including slots, blackjack, roulette, baccarat, craps and many more. Casino.com offers deposits and withdrawals through a variety of payment methods, including credit and debit cards, prepaid cards, e-wallets, and PayPal. Although all of these methods are at your disposal, keep in mind that you can only withdraw money through the same method you’ve previously deposited into the casino. The casino takes financial transactions very seriously, which means that the pending times might vary depending on the size of your transaction. In addition, there are no set minimum and maximum withdrawal limits, as this depends on your level at the casino, where you’re playing from and on other factors as well. Casino.com allows its users to have a fully immersive gambling experience and bet on the go. The casino has an official iOS app, which you can download and use to play all of your favourite slots, roulette, and table games. There currently isn’t a native Android app, though Android users can access the casino’s website directly from their device’s browser. 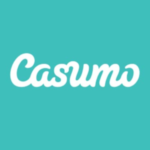 At the time of writing, there isn’t a Casino.com promo code or bonus for mobile users, though you are completely free to cash in on any of the regular Casino com promo codes mentioned above. Casino.com customer support agents are available all hours of day and night, all year round. If you face any issues with payments, claiming promo codes or anything else along the way, you can reach out to them by phone or email. They are friendly, professional and very adept in dealing with any Casino.com related enquiries. Aside from the two contact support channels, Casino.com offers a very helpful FAQ page, which you can access by clicking on the ‘Help’ button on the bottom of their home page. There is also a Sitemap link you can use to quickly access your target page anywhere in the casino. Finally, Casino.com maintains a regularly-updated Blog page, where you can find all of the latest information and updates about their games, bonuses and promo codes. Are the Casino.com Promo Codes Enough of a Reason to Sign Up? Casino.com is a really good online casino, similar to some others that operate under the Mansion Group, especially in terms of content and bonus offers. The website itself is easy to master, and the quick links make navigating it a very pleasing experience. The casino offers a truly marvelous selection of bonuses and promotions, ranging from matched deposit bonuses to slots, table, and roulette bonuses. There are also special Casino.com promo codes you can use, which can come in really handy in supplementing your budget and making your online gaming experience an even more enjoyable one. We would definitely recommend you to sign up with Casino.com and try out everything it has to offer. Does Casino.com have a welcome offer for new customers? Casino.com runs a wide array of promotions for their members, and the welcome bonus might just be the most lucrative one. New Casino.com members can take advantage of a £100 plus 180 free spins welcome bonus. 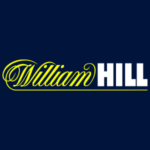 It comes without a Casino.com promo code and can be activated with a deposit of at least £20. Are there any Casino.com Promo codes available? Casino.com has a number of active promo codes available to is players. They include spins, bonus money and table game Casino.com promo codes that you can claim from either your desktop computer or mobile device. For a full rundown of all of the Casino com promo codes, check the bonus review section of this page. Casino.com accepts PayPal on their website and allows all of its customers to use this payment method for deposits and withdrawals. You can also make PayPal your designated payment method, as PayPal promotions are also eligible for all of the bonuses on the Casino.com website.